Have you ever wondered how far a book travels in its lifetime, who read it, and when? Every book in The Well-Travelled Book Series is intended to be read and shared by each reader. In the back of each book there is a section to complete to record when and where you read the book. After that I encourage you to give your book to another person. Over time each individual book in The Well-Travelled Book Series will gain an evolving list of interesting reader’s histories, telling a tale of the life of each well-travelled book. Out-of-body experiences? Multiple lives? Eternal soulmates? Simon doesn’t believe in such things, but all that is about to change as Simon embarks upon a huge turning point in his life. Recurring images haunt his mind, and his dreams begin to foretell a future he could not have imagined and a past he has no recollection of. While at the airport about to go on holiday with friends Simon receives an odd phone call from his Grandad, informing him that he expects to die by the following day and he must see him today to share some life changing information with him; leaving Simon with the ultimatum of ‘now or never, Simon, my boy.’, and sending Simon down a completely different road full of unexpected twists and turns. Grandad Ted knows things he shouldn’t about Simon’s private internal world. He speaks of the universe having great plans for Simon, as long as he fulfils three steps prior to being in the exact right place at the exact right time. Easier said than done, when Simon finds himself at a T-junction, giving him a choice of two opposite directions, while not having a clue what he’s supposed to do next. The Well-Travelled Book Series / Books to Read and Share Have you ever wondered how far a book travels in its lifetime, who read it, and when? Look in the back of this book and you will see an evolving list of interesting reader’s histories, telling a tale of the life of this well-travelled book. After reading this book, please sign it in the back, mention where in the world you were when you read it, date it, and then give this book to another person. Click Here To Buy, Or Visit Amazon For Your Region. Oriana is drifting through life without much thought. 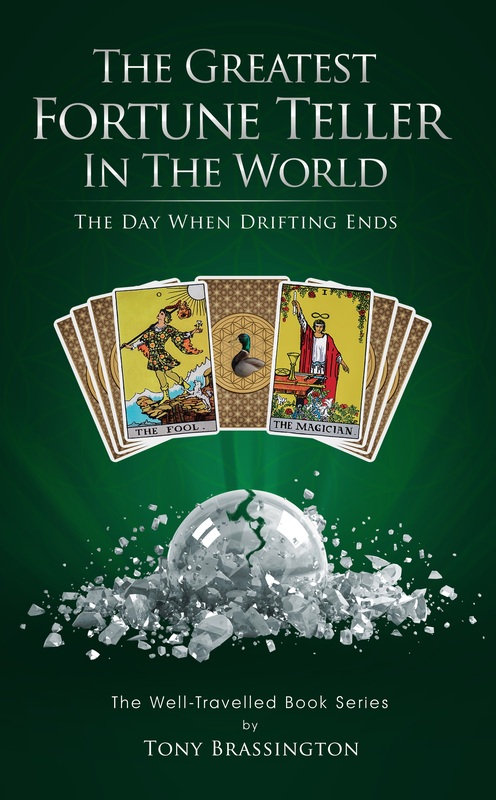 When she drifts into the tent of ‘The Greatest Fortune Teller in the World’, she draws two tarot cards from the pack, The Fool and The Magician. Oriana accidentally breaks the fortune teller’s crystal ball before being told what the significance of these two cards will be in her life. This seemingly insignificant event sets into motion a chain of far reaching events she could never have imagined. Oriana’s old school mate Cerys joins her for a long weekend in the city of Bath to catch up on old times. In their childhood they were like two peas in a pod, now in many ways they are worlds apart, but their friendship is as strong as ever. Cerys is a self-made millionaire and in every way a walking, talking model of success. She has a new daily affirmation to help her attract a new love into her life, and Cerys wants a big diamond stone too. She knows what she wants in life and by working with the interconnecting laws of the universe, how to get it. Anything life can throw at Cerys, she can handle with ease, whereas Oriana is blown around by the winds of fate. Their long weekend together will be truly unforgettable for both of them and a real life changer; full of unexpected twists and turns. By the end of the weekend Oriana will understand completely the full meaning of the tarot cards she chose, The Fool and The Magician. The Well-Travelled Book Series / Books to Read and Share Have you ever wondered how far a book travels in its lifetime, who read it, and when? Look in the back of this book and you will see an evolving list of interesting reader’s histories, telling a tale of the life of this well-travelled book. After reading this book, please sign it in the back, mention where in the world you were when you read it, date it, and then give this book to another person. If you like the music of the Carpenters with their distinct and unique sound, combined with Karen Carpenters amazing voice, then you will enjoy reading this book. This book will also point the way to quite a number musical hidden gems from the Carpenters that you might not know about. Life is a combination of journeys and music is one of life’s greatest journeys, helping to shape each one of us into the individual we are and are yet to become. Music accompanies us throughout our life of journeys, changing with the times, impacting society and people in a masterful, powerful, and unique way. Karen Carpenter’s unique and astounding voice combined with Richard Carpenter’s musical genius, created the hugely successful Carpenters sound. A distinctive sound which has lasted half a century already and is still going strong today. 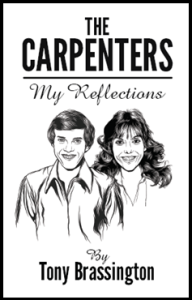 In The Carpenters – My Reflections, Tony Brassington will take you on a tour of his own personal musical journey with the Carpenters, while covering the decades of changing times and all the variety of ways, including the advances in technology that have enhanced our listening/viewing pleasure of our most cherished artists and musicians. As an avid collector and follower of everything Carpenter he could find throughout half a century of his own life, Tony introduces everything from their well-known greatest hits to many hidden gems that few know about. This book will take you on a journey of discovery into the Carpenters world of music. 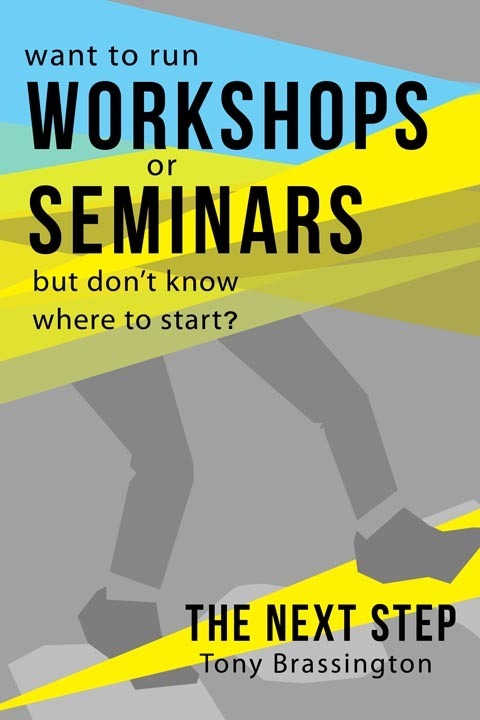 Want To Run Workshops Or Seminars, But Don’t Know Where To Start? 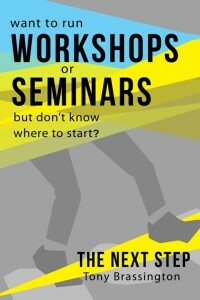 If you are planning to run workshops or seminars, then this is the book you must read. To reach your goal of running workshops or seminars the stepping stones for this journey need to be understood. 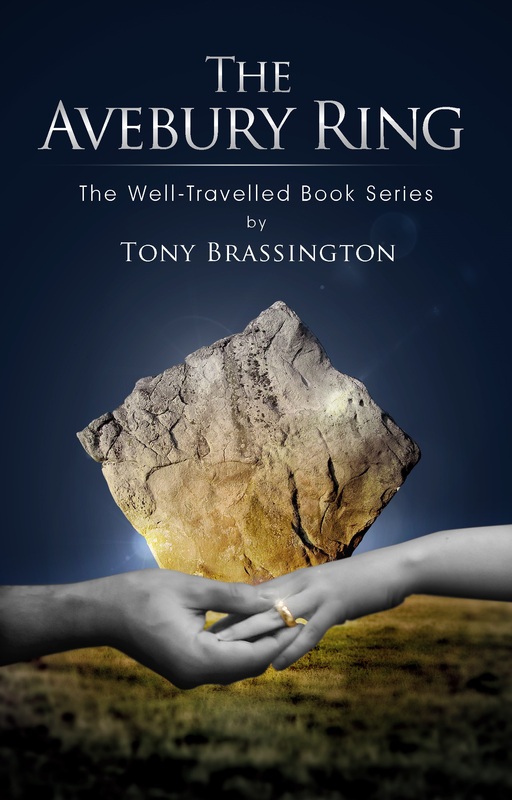 In this book Tony Brassington has focused on the most important steps toward putting on your event. The content of this book will leave you with a very clear understanding of how to identify and enhance your specialist knowledge, make your specialist knowledge marketable, discover who needs your specialist knowledge, and how to fill your event. By reading this book and applying the content you will embark on a journey of self-discovery, which will provide you with the self-assurance that you are going to make this happen, and give you an enormous advantage when it comes to running workshops and seminars. Some people are held back because they do not have a good grounding in the basic knowledge of putting on events, whereas others may have too much information, which can make it difficult to know what they must do first. 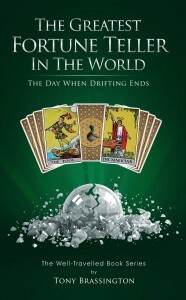 By avoiding information overload, this short book will get you off to a great start. In fact, this short book may very well put you at a great advantage, because it focuses on the essential first steps, which, like first impressions, are the most important. “I fill my workshops and seminars with ease and so can you.” – Tony Brassington.